Adjust the center of the geo-fence. Adjust the dimension of the geo-fence. 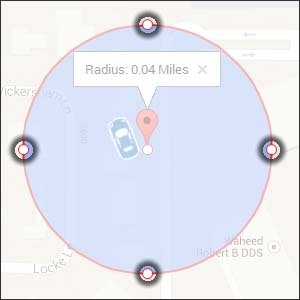 Set up a Geo-Fence alert notification. 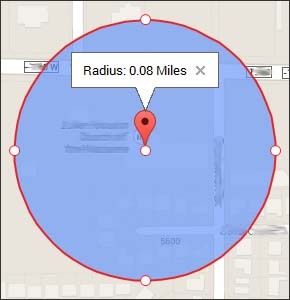 Enter an address then click View Results. Click on the result (desired result if multiple results are displayed). Adjust the size of the geo-fence. Enter a name for the geo-fence then click Save Fence. Enter an email address or 10-digit mobile number then click Save. 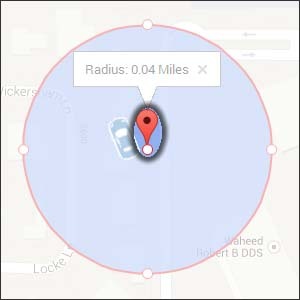 If needed, adjust the location and size of the geo-fence. If needed, adjust the name of the geo-fence then click Save Changes. Click the Enable box next to the geo-fence.